News came through this week of the death of singer and sanshin player Yukichi Yamazato who has died of lung cancer at the age of 92. Yamazato was one of the last survivors of the early generation of Okinawan recording artists. Born in Shiraho on Ishigaki Island in 1925 he was a winner of the annual Tubarama Taikai in 1957 and went on to win many other awards to become one of the most important singers of traditional songs. He also travelled to South America and was a mentor to many other musicians, most notably fellow Yaeyama singer Tetsuhiro Daiku. Among his recordings was the excellent joint album Uta Awase made with Rinsho Kadekaru and released in 1999 the year of Kadekaru’s death. The sad news has come through of the death of Okinawan singer and sanshin player Shotoku Yamauchi on 24th August at the age of 95. Yamauchi was one of the first generation of Okinawan recording artists along with other great musicians such as the late Rinsho Kadekaru, Shouei Kina, Teihan China, and Shuei Kohama. He was born in Yomitan on the main island and became an accomplished interpreter of traditional songs as well as a songwriter. In 1958 and 1959 he represented Okinawa at the annual NHK song contest and was an important member of the music association Ryukyu Ongaku Kyokai. In more recent times an 18 track collection of his best work was released on CD by Campus Records under the title Hokorasha Yamauchi Bushi. Some of you out there may have noticed that The Power of Okinawa website is no more. The site was set up to promote and sell the 2nd edition of The Power of Okinawa book which has now sold out online. However, the book is still available in bookstores in Okinawa and also in mainland Japan. It can also be bought through Paul Fisher’s Far Side Music website which is based in the UK. It is almost seven years since the new improved and expanded 2nd edition was published and it will soon be 16 years since the 1st edition came out. This blog was set up to complement the book with updates and reviews. I will continue to post here about things Okinawan as well as other musics from around the world….. and anything else that takes my fancy. Some of the longer pieces I’ve written for magazines such as fRoots and Songlines that were available to read on the website will eventually appear on this blog in a new Features Archive category. Many thanks to all those who bought the book online. The sad news has only just reached us of the death of Toshikatsu Takahashi who was the drummer with Shoukichi Kina’s band Champloose for more than two decades. Takahashi, who was 56, died suddenly in an accident in Hokkaido in the north of Japan on 13th March. Takahashi was a native of Yoichi, Hokkaido. He joined Champloose in 1990 for their Niraikanai Paradise album and became an indispensible member of the band. In recent times he returned to his hometown where he was also continuing his activities as a musician. Takahashi was an excellent drummer and an integral part of Kina’s band throughout their finest period. He fitted into Okinawa and its music perfectly and it’s hard to imagine Champloose without him. I met him several times over the years and he was always kind, welcoming and friendly. What may be lesser known is that he also had a great interest in music from around the world. We exchanged recommendations on African music more than once and he always asked me what I had been listening to. He will be greatly missed. The news has come through of the death of the singer and sanshin player Chidori Narai who passed away in hospital in Naha on 7th September. She was 54 and had been suffering from cancer. Narai was one of many excellent female singers produced by these islands and she sang both original and traditional songs. She came from the Yaeyama island of Iriomote where she was well known and frequently referred to as the “Iriomote no uta hime” or Iriomote diva. 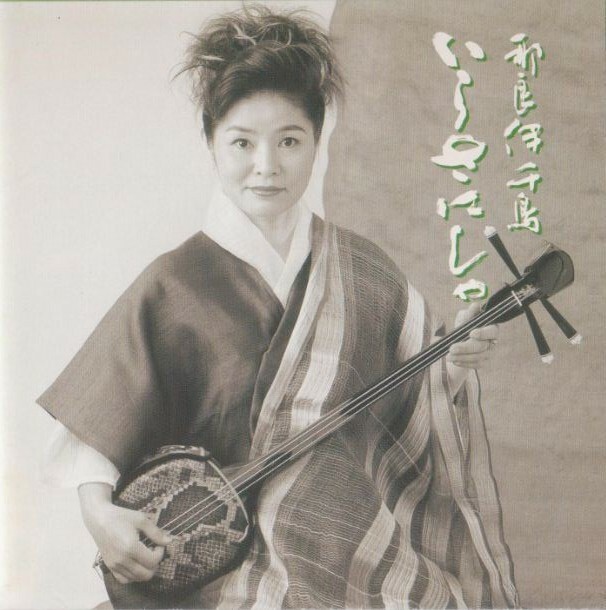 Among her albums, Shima Tsundasa from 2000 mixes old and new with several guest musicians while her subsequent album Ira Sanisya is very traditional with many songs from her home islands accompanied by her sanshin. Chidori Narai moved to the main island of Okinawa and ran her own bar ‘Chidori no Mise’ in Naha which is where I first met her in 2001. She was especially attached to the traditional Iriomote song ‘Densa Bushi’ and at my request she sang a superb version while sitting next to me on the evening of my visit. An experience not to be forgotten. We met once more after that when she played a concert in Osaka. Her sad death at such an early age comes as a very unhappy surprise. 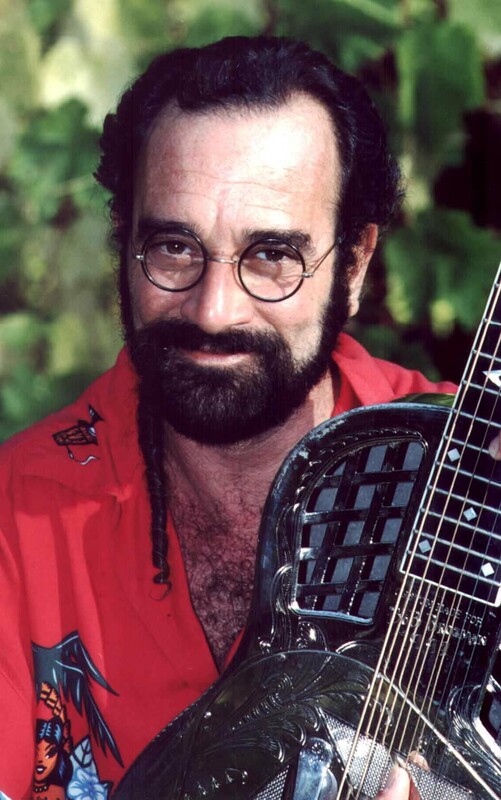 The sad news has come through of the death of American virtuoso guitarist and ethnomusicologist Bob Brozman who was found dead at his home in California on 26th April having apparently taken his own life at the age of 59. Brozman was a superb guitarist famed for his wide-ranging interest in many different kinds of music. He was especially renowned for his study of the blues and for his great involvement in Hawaiian music but his eclecticism meant that he travelled the world discovering and collaborating with musicians from many different genres and backgrounds while always remaining sensitive and sympathetic to the musical environments he found himself in. His many albums included collaborations with musicians from Hawaii, India, Okinawa, Reunion Island, and Papua New Guinea. In 2007 he even made an album Lumiere on which he played all the instruments in a variety of different styles, building up each instrumental part layer upon layer to form what he called the Bob Brozman Orchestra. 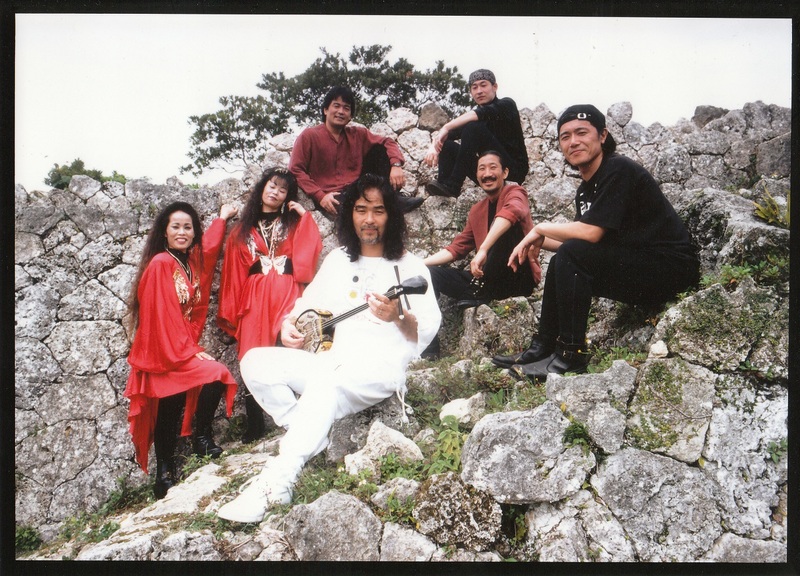 In 2000 Brozman and the Okinawan musician Takashi Hirayasu made the album Warabi Uta which was recorded on the Yaeyama island of Taketomi. It was subsequently released worldwide as Jin Jin/Firefly. The album was a groundbreaking project of startling simplicity and originality with just Hirayasu’s voice and sanshin and Brozman’s guitar on a set of Okinawan children’s songs. The pair made another album the following year, Nankuru Naisa, which this time was recorded at a studio close to Brozman’s home in Santa Cruz. Around this time I met Bob Brozman for a lengthy chat while he was touring Japan and the interview is included in The Power of Okinawa. On publication of the book he wrote to congratulate me and was full of praise and enthusiastic comments. During our meeting he was enormously helpful and interesting on the technical side of the music which I knew less about and he was full of imaginative ideas and theories. Bob Brozman never became a big commercial star but he was in a way more important than that and there was nothing he couldn’t do with a guitar. 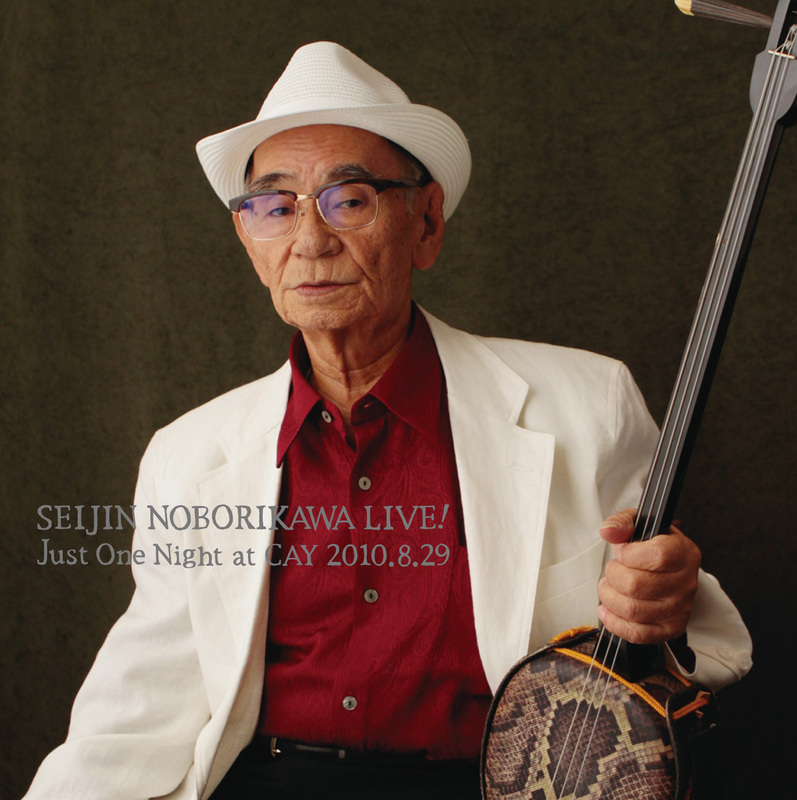 The news came through today of the death of one of Okinawa’s best loved and most well-known singers, Seijin Noborikawa. He passed away yesterday (19th March) after being hospitalized in Okinawa with liver failure. He was 80. Nicknamed “Seigwa” he was widely regarded as the greatest living singer of traditional Okinawan songs, following the death of his mentor Rinsho Kadekaru. Seigwa was active musically right up until the end of last year when his final recording was the album Duet which he made with Misako Oshiro. In earlier times he was also known as the Jimi Hendrix of the sanshin for his fast playing style. A compilation album of his best recordings from 1975 to 2004 was released to commemorate his 75th birthday but he then went on to release two further studio albums – Suiko Jizai (2008) and Fountain of Songs (2010) – as well as a live double album and the duet with Oshiro last year. His popularity increased after his starring role as an actor in the Okinawan-set movie Nabbie no Koi and in a subsequent film Hotel Hibiscus. Seigwa will be remembered too for his playful onstage personality and for his willingness to support younger musicians.